All British Casino – Sunday Free Spins! Enjoy Free Spins on Sunday! Let the Lovely Lady surprise you with Free Spins! Are you an active player at All British Casino and made a deposit in the last seven days? Then make sure to log-in on Sunday as there will be a surprise amount of Free Spins on Lovely Lady waiting for you, no deposit needed. A little thank you from the team at ABC for all loyal players. Log-in to your account today, 19th November 2017, until 23:59 GMT and you will find 10 Free Spins on Lovely Lady from Amatic if you have deposited at All British Casino in the past seven days. All winnings from the spins are credited as bonus and need to be wagered 35x within two days. All British Casino Bonus Terms and Conditions apply. Lovely Lady is an elegant game from the respected game provider Amatic, known for their simple yet immersive take on slot games, ideal for unwinding on a Sunday after a hard week. 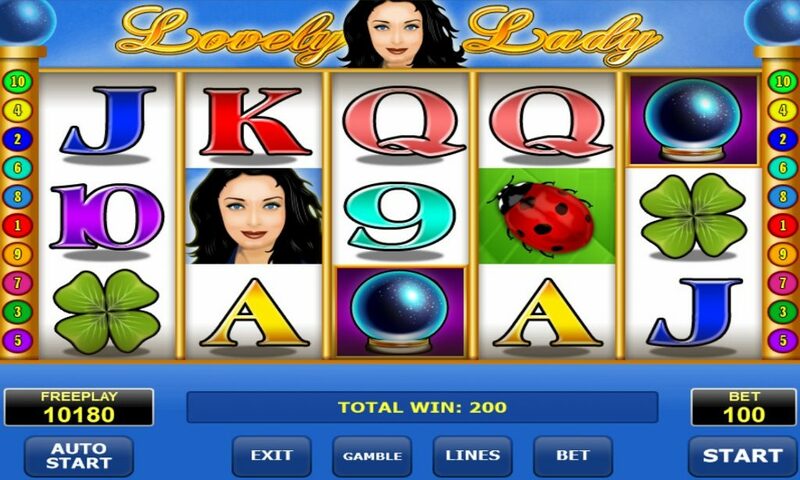 Lovely Lady is a 3 row, 5 reel and 10 pay line game, playable from as little as 10p up to £50 per spin. This means that no matter your play style, this game is perfect. This slot is also packed with interesting features such as the Wild Lovely Ladies and Scattered Crystal Balls. The slot has got some seriously high payouts as well, some symbols such as the mushroom or ladybird can pay out up to 75,000 coins. This looks small when compared to the Scattered Crystal Balls however, as these can instantly reward players with up to 500,000 coins as well as triggering the Free Spins round.